The World Federation of Neurology (WFN) and the Norwegian Neurological Association (NNA) are pleased to announce a new partnership to invite two colleagues from Africa to visit the Neurology Department of the Haukeland University Hospital in Bergen. The NNA was founded in 1920 and has more than 700 members. The NNA represents scientific and professional interests: further education, the interchange of ideas, science and the interests of patients. The WFN was formed in Brussels in 1957 as an association of national neurological societies. Today, the WFN represents 119 professional societies in 119 countries in all regions of the world. The mission of the WFN is to foster quality neurology and brain health worldwide, a goal we seek to achieve by promoting global neurological education and training, with the emphasis placed firmly on under-resourced parts of the world. The NNA support the African initiative of the WFN by inviting two African colleagues to visit the Haukeland University Hospital for duration of four weeks. The purpose is to experience the Norwegian neurological system in an international environment, meet new colleagues and foster future cooperation. 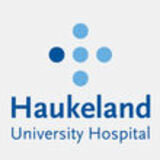 Haukeland University Hospital is the main hospital in Bergen, the second largest city in Norway. The Department of Neurology has yearly more than 5500 admissions and 25000 outpatient consultations. All kinds of neurological diseases are covered by the Department. The visit will take place in May 2017. To apply, applicants must submit their CV, a supporting statement, and a letter of recommendation from their Head of Department by 10 March 2017 to the WFN Education Coordinator, Ms Ella Nkanagu, by email enkanagu@kenes.com.